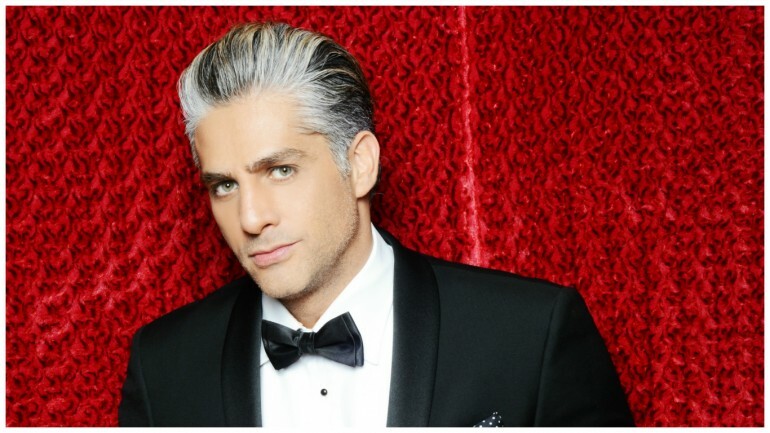 Two weeks ahead of the premiere of the new Telenovela "La Doble Vida de Estela Carrillo" we spoke with renowned Mexican actor Marco Mendez, who plays a masterful role in this new production. Marco talked to us exclusively and revealed everything about this new challenge as villain Asdrubal Guerrero, and his thoughts about producer Rosy Ocampo's new production that will be filled with Mexican Regional Music, and topics such as immigration and money laundering. "'La Doble Vida De Estela Carrillo' is a new concept that talks about the migration of Mexicans to the United States, what happens during this trip to cross the border, and what they have to struggle once they're in the country. The project is also focused on Mexican Regional music and its relationship with money laundering," Marco explained to Latin Times. This Telenovela will tell the story of a woman who travels to the United States and tries to overcome all obstacles she faces as a migrant with her daughter. Then, the story will open up to all the corruption issues that are very tough for most Mexicans in these moments of such important political changes. For the first time a Mexican production reunites two major topics affecting Mexicans: Money laundering in the Mexican music business, and immigration. Marco’s character, far away from his most famous roles in the past, is a villain, a role that promises to be powerful and one of his best accomplishments as an actor. "My character is one of the bosses who tries to get artists into money laundering. He tries to get a record company into this corruption chain and leads artists to participate," he added. Marco assures this production is nothing like the Narco-Series everybody is used to watching, since the intention of producers is not to idealize corrupt people but to show what’s wrong and its consequences. "In Mexico the kids idolize drug dealers, they see them like stars and want to be like them. Kids abandon their studies to pursue what for them is easier and at the end they fail. It's very sad they actually see all that in our own society, they watch on television all the drug dealers as heroes. For example, in series where they see these guys who easily rise up and get money and women with no efforts," he explained pointing out at another network’s production. The actor really wanted to make a point out of that, saying that "this is not about real characters who deal drugs, but an original story with real issues from our society and a great message." He also declared that primary education is the most important thing to instill values for children from the beginning. About the immigration and its latest discussions, he gave us his opinion on this matter. "The immigration of Mexicans to the United States is a situation that has been going on for many years; it’s a vague culture that is inculcated to children from a very young age. Parents convince them of going to work in the US because they think they’ll do better over there. But the truth is that they have them working as slaves there and this is what we discuss in this Telenovela," he said. We also asked him about how this journey as an actor has been for him and what he is expecting to do in the future. "Well, one of the greatest satisfactions of my career has been to work with people that I have admired a lot. It is very gratifying to work with someone you’ve admired when you were a child. Now I’m very excited with this project and I’m looking forward to work on new and different productions, especially in film." "La Doble Vida De Estela Carrillo" will air on February 13 in Mexico's "Las Estrellas" channel and in March in the US, broadcasted by Univision. The cast includes Ariadne Díaz, África Zavala, David Zepeda, Danilo Carrera, César Évora, Erika Buenfil and Alejandro Tomassi, among others.